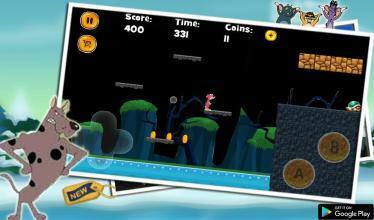 Hi pakdai fans, are you ready for this action game free for kids? It’s another adventure with pakdai and don’s doggy! But before that, I know some of you readers are not familiar with this manga/anime. Let me tell you some brief background of don pakday. But Colonel is getting a new power now, you are there to help Colonel and let him reach Doggy Don's home faster. You have to guide Colonel to Run, Shoot and Jump. Collect them as much as you can Coins give Colonel energy to run more. -This game cartoon will test your nerves as your run through the haunted forest while skeletons, falling stones and many more creepy hurdles. 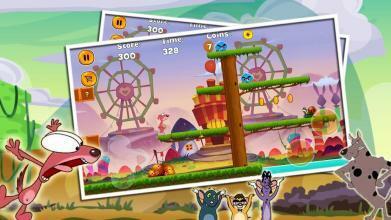 -Pakdam Pakda is back in form of an amazing game with don ,Marly and Charly. - Colonel has to save himself by avoiding all of them. Mans and Plants will try to hurt you. Jungle environment is also not all friendly and is filled with huge stones, bad Bigfoot and crazy man from middle Ages. Start this adventure journey by exploring different world to move, jump, attack enemy using gadgets, tossing magic spell towards enemy and defeat the big evil bosses. -Download this best upcoming game adventures for kids of 2019 is a cool fun running and jumping full of adventure. 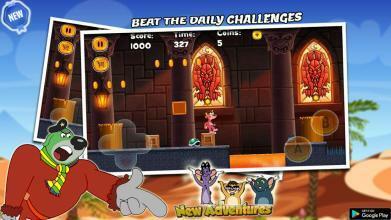 Play with your favorite don pakdai dog Hero and dash through the adventure! 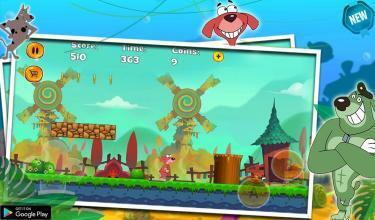 Run, Rush, Dash & Jump as fast as you can to collect all the stars and to help doggy unlocking all world. Features: # Enjoy many cars and worlds ## Free game # completely free of charge ## - Nice graphics and sounds. # Free game. Pakdai Jungle doggy Run respects your privacy, does not allow you share this information and does not store any personal information. #Disclaimer: This Game has no relation with any pakdaii cartoon. This game is only submitted by pakdai pakdamm fans lover and for fun (not Official). This game doesn't have any relationship with original character from the cartoon, we are not the owners of the cartoon and we don't claim any relationship with them. If we are in breach of copyright, please let us know and it will be removed as soon as possible.